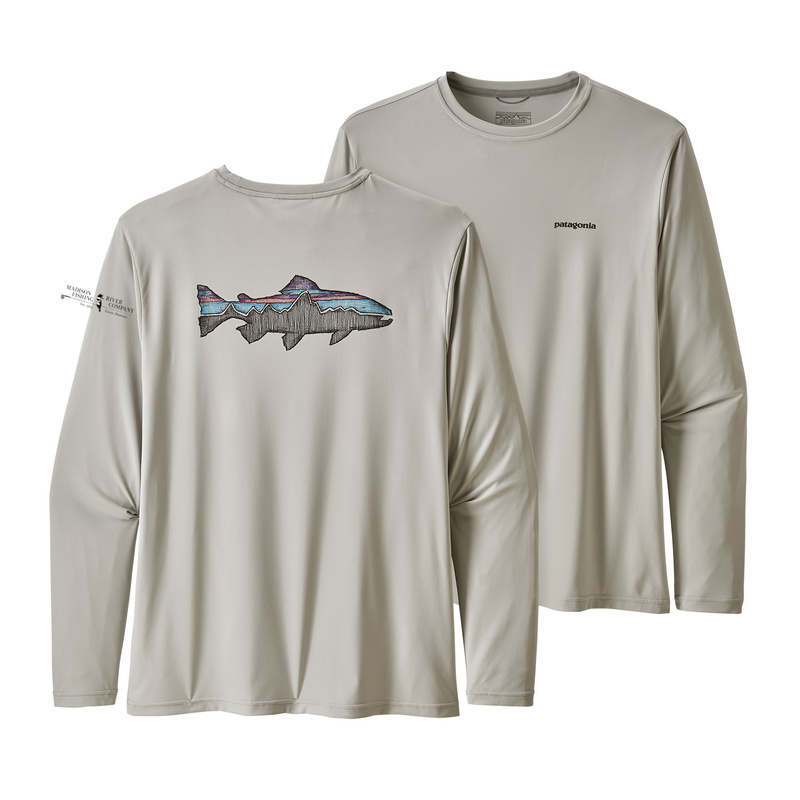 The best of both worlds: Patagonia's Long-Sleeved Capilene® Cool Daily Fish Graphic Shirt combines a comfortable T-shirt fit with an ultralight, fast-drying 100% recycled polyester fabric. The best of both worlds: Patagonia's Long-Sleeved Capilene® Cool Daily Fish Graphic Shirt combines a comfortable T-shirt fit with an ultralight, fast-drying 100% recycled polyester fabric that offers 50+ UPF sun protection and Polygiene® permanent odor control; its original fishing-inspired graphics remind you where your true interests lie. Fair Trade Certified™ sewn. MRFC logo is on the sleeve.